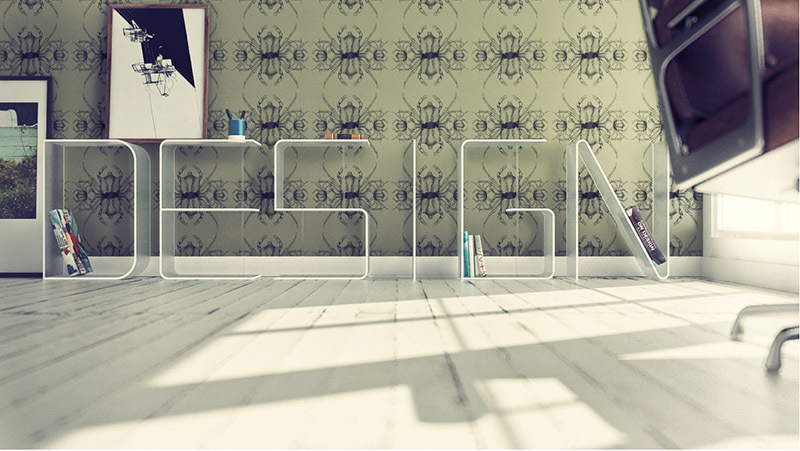 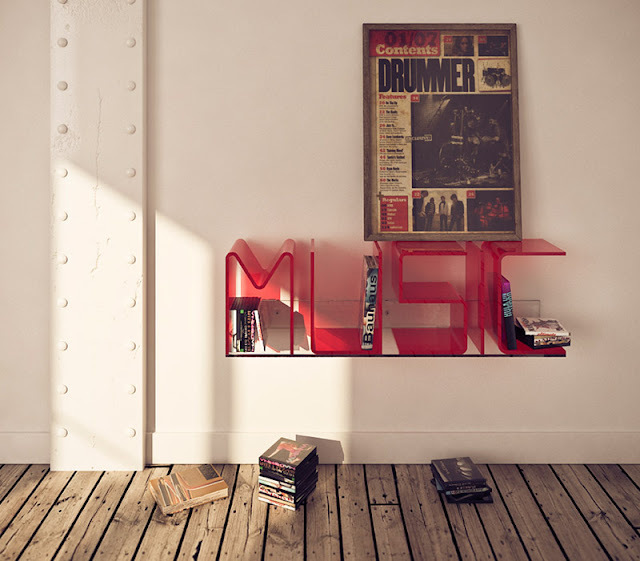 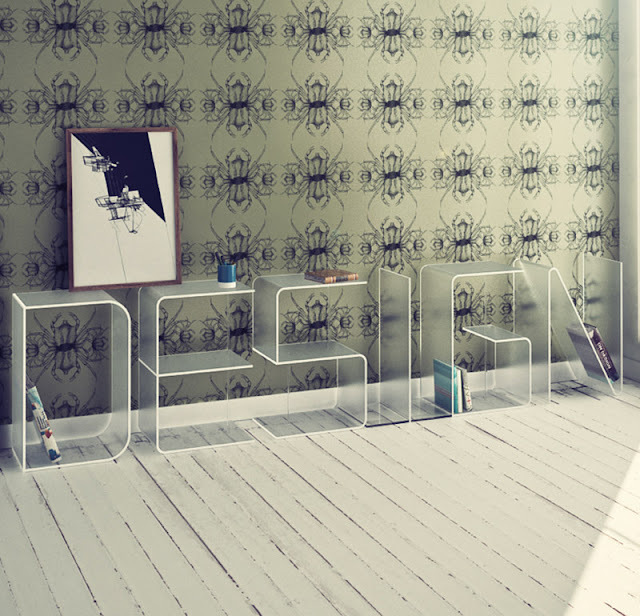 Letter Perfect Shelving. 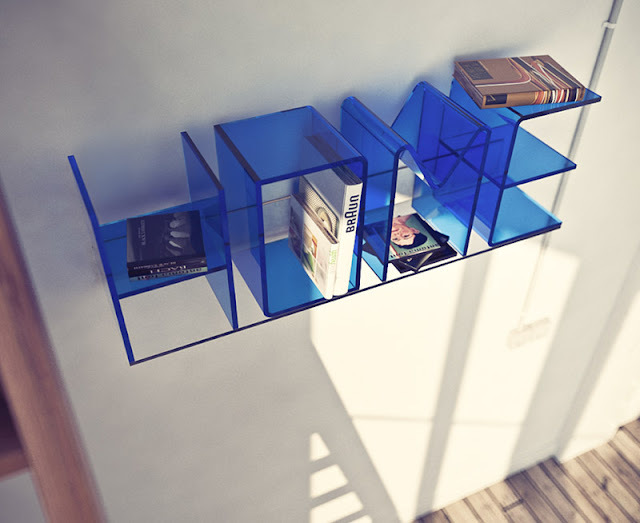 The Anita Collection from Quattria. 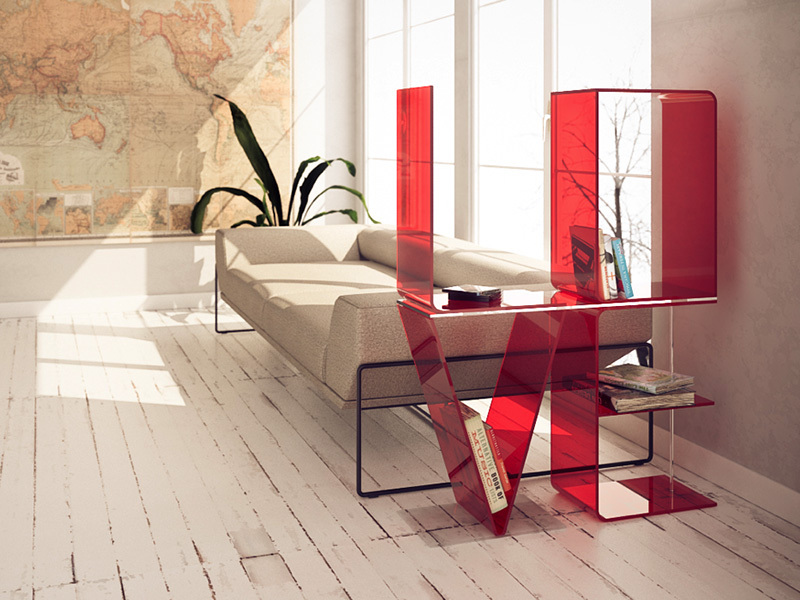 Available for wall and floor, ANITA consists of letters that form words to support books, picture frames or whatever you like. 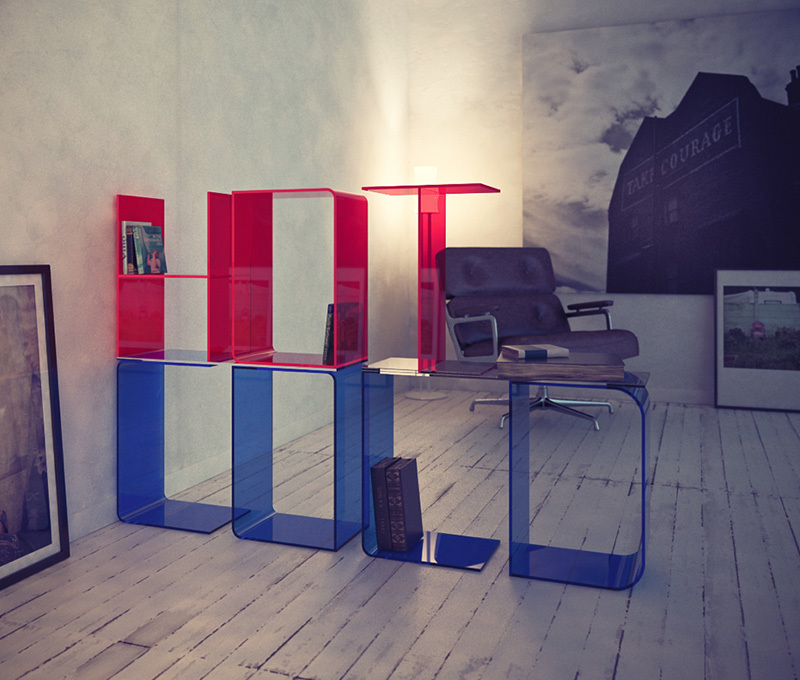 The thermoformed acrylic shelving was designed by Ricard Mollon for Quattria and comes in translucent red, blue or clear. Whether you place them on the floor, stack them or wall mount them, these configurable shelves will add some expression, literally and figuratively, to your home.